Our delightful range of playtime gifts is perfect for adventurous little children, and will help light up their imagination as they learn to read, draw, play their first instrument and more. Designed and made with the highest quality materials, the majority of our toys and accessories can be personalised at no extra cost. 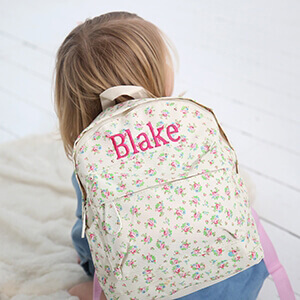 Simply let us know your little one’s name and we’ll add it in either print, embroidery, flocking or laser engraving – before shipping it to you in one of our luxury gift boxes. To help feed their creativity and ensure countless memorable escapes, pick them a present from our carefully chosen selection. A child’s imagination is one of their greatest gifts, and we aim to provide products that are as unique and colourful as they are.